This was the beginning of photographer Golbedin Elham’s career when he started photographing in 1993 with the help of his instructor Shameen Khan. He attended long term photojournalism courses and studied with French - Iranian photographer Manoocher Deghati for two years. Today, Elham is the experienced one amongst young men and women moving into photography. In Afghanistan today, the young are free to pursue a photographic career, given that their family supports it. Whereas this could be seen as a banal right in many countries, in this war tormented country it is not a given. 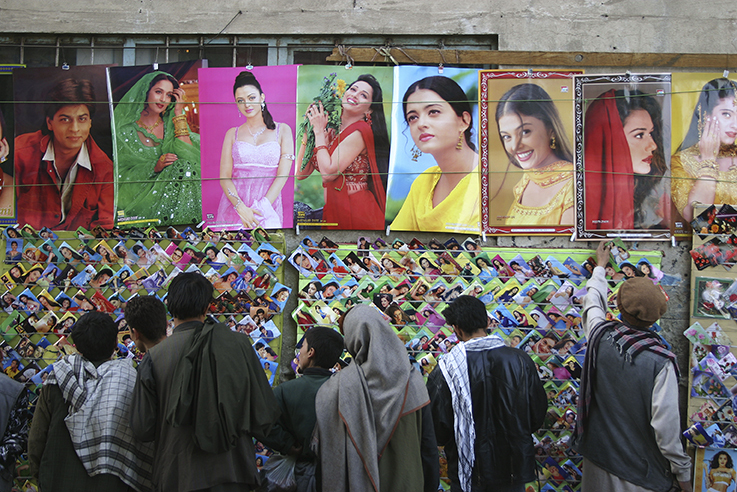 In the opinion of the Taliban, creating and capturing images was an anti-Islamic action and an unforgivable sin. During the Mojahedin government from 1979-1989, photography had been possible, but the Taliban dictatorship completely banned it: “Carrying a camera could get you killed”, Elham adds. The interpretation of the Koran was that the act of representing the perfection of Allah’s creations suggests equality to him – which would be blasphemous. Today, though some elderly people still shy away from having their picture taken, the interpretation is different. Photography has found its place in people’s lives. “Ideally, I want the street and war children of my country, who have been the motifs of my photographs, to also be my audience.